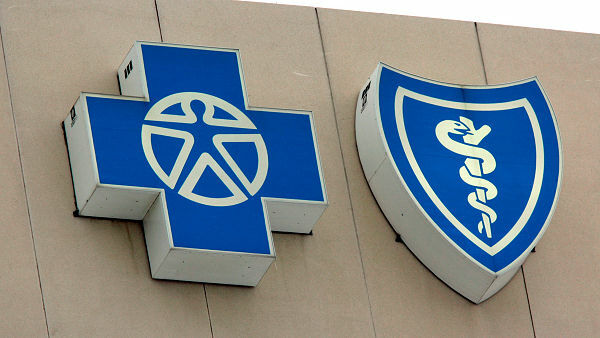 DURHAM (WTVD) -- North Carolina officials announced Wednesday that Blue Cross Blue Shield (BCBS) can raise its rates for Affordable Care Act plans next year. The North Carolina Department of Insurance just signed off on a 14.1 percent increase, WSOC reports. Previously, the insurer asked for a 22.9 percent hike, but then lowered the request in August. North Carolina's largest health insurer says President Donald Trump's recent move to cut off "Obamacare" payments to insurers won't affect its average 14 percent price increase on the individual policies for next year. Blue Cross and Blue Shield of North Carolina said Wednesday that the state insurance department approved the company's rate increase for 2018 Affordable Care Act plans. A spokesman for the regulator did not respond to an Associated Press call seeking details of the department's decision on the policies sold to individuals. The Durham-based insurer said in a statement that its rate increase "would have been near zero" if President Donald Trump and the Republican-led Congress had fully funded the "cost sharing" subsidies. The funds were envisioned by former President Barack Obama's health insurance overhaul law to help insurers hold down customer costs. A more precise description of how low subsidy payments would have cut the rate increase wasn't immediately available, Blue Cross spokesman Austin Vevurka said. Rep. Robert Pittenger, R-N.C., said he didn't believe Blue Cross's claim that the insurer would have been able to all but forgo a price increase on its ACA policies with the subsidy payments. "Blue Cross has raised Obamacare premiums every year," Pittenger said in a statement. "Nonsense on the rhetoric from Blue Cross." Blue Cross officials said most ACA members - those up to four times the poverty level - will qualify for federal subsidies to help them pay the higher premiums. While customers who have been "grandfathered" in - plans that were in place before the ACA became law - have a decision to make because the company is doing away with those plans in January. The company acknowledged those who have switched over to ACA plans could see a "significant" increase. "Health care costs too much," BCBS officials said. "We understand that a premium increase of any amount is difficult for many of our customers." About 90 percent of North Carolina Blue Cross's 502,000 "Obamacare" customers get a subsidy. For them, Trump's move could mean a larger subsidy and better coverage. The Congressional Budget Office reported in August that consumers who now qualify for tax credits to offset their monthly premiums would be largely shielded from the projected higher cost of a standard "silver" plan, because of the automatic increase in the ACA's premium subsidies. Depending on factors such as their income and age, some subsidized customers could be able to take their higher premium tax credits and buy a generous "gold" level plan for about the same money, or a skimpy "bronze" plan for much less or nothing. Subsidy payments for the 549,000 North Carolina residents buying coverage on marketplaces created by the federal law totaled $581 million in 2016. Trump announced last week he would end the subsidies paid to insurers. The administration's move prompted insurers in states including Montana, South Dakota and Arkansas to pursue new rate increases. Democrat Josh Stein of North Carolina joined 18 other state attorneys general in filing a lawsuit against the Trump administration's decision to end the subsidy payments. BCBS is the only insurer offering at least one ACA plan in all 100 counties in the state. Cigna, the only other insurer offering ACA policies in North Carolina this year, plans to continue selling them in five counties near Raleigh, spokesman Joseph Mondy said in an email. In May, the company requested an average 31.9 percent rate increase for its 2018 policies. Mondy did not respond when asked the status of that requested price rise, saying more information would be available after the enrollment period opens Nov. 1.